A Skookum is an ape-like creature said to inhabit the Mount St. Helens region of Washington State. The word ‘skookum’ is a Chinook word with a variety of modern meanings, including “strong”, “brave”, “powerful” and “greatest”. The original Chinook meaning is “evil god of the woods”. The Skookum is believed to be a mountain-dwelling creature in the same vein as Bigfoot or Sasquatch. 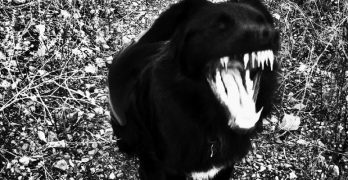 Unlike Bigfoot, however, the Skookum is apparently a predatory creature. The natives of the Pacific Northwest saw the Skookum as a feared mountain devil. Rather than being a corporeal being, they believed it was an evil spirit which could take many different forms. This spirit could also inhabit people and cause serious illness. However, in the more modern legend, the physical characteristics of the Skookum are undoubtedly ape-like. A large creature with a protruding snout and flat skull, the Skookum is said to have no tail and is considered to be an ape-like variety of howler monkey. It is sometimes said to have red eyes, either as a result of eye shine or an actual red pigmentation. The most lurid reported sighting of a Skookum was in 1924, when a group of miners were attacked by a huge ape-like beast. The men were prospecting on the Muddy, which is a part of the Lewis River. They saw a number of large footprints, but did not know what to make of them until they saw a large creature peering at them from behind a tree. Alarmed, one of the men shot at the Skookum, apparently wounding it. The creature ran off. One of the miners, Fred Beck, says he shot one of the beasts three times and it fell into a canyon. The body was never found. That night, it seems the apes decided to strike back. The miners’ accommodation was apparently attacked for around five hours, with the creatures using rocks to try to break in. The men fired shots but this seemed to have little or no effect. There were no windows in the accommodation and so the men could not see their attackers, but they said it seemed like there were more than two creatures attacking the building. There were big footprints around the building when another party of men went to investigate, but there was no other sign of the ape-like creatures. Bigfoot researcher Henry Franzoni investigated the Skookum in the 1990s after spotting one at Skookum Lake, Oregon. He and his companion were allegedly standing not 10 feet from one of these creatures. With his interest piqued, Henry wanted to find out more and so began to collect local stories and legends, recognizing the link between the place names and the sightings. His research highlighted that there are tens of Skookum place names all over Washington State. In September 2000, a team of researchers discovered what is now known as the Skookum Cast. The team, including Dr. Leroy Fish and Thom Powell, had mounted an expedition in the Gifford Pinchot National Forest and had been searching for evidence of a Skookum. On the seventh day, having laid a trap with bait, they found a large animal impression and took a cast of it. This full-body cast was subsequently examined by Dr. Jeff Meldrum, a professor of anatomy and anthropology at Idaho State University. Dr. Meldrum could not attribute the cast to any known Northwest animal and admitted that it could represent an unknown primate. This opinion was espoused by Dr. Grover Krantz, a retired physical anthropologist at Washington State University, and Dr. John Bindernagel, a Canadian wildlife biologist. Detractors opine that this imprint was probably made by an elk. The print was of a body, not a footprint, and there were no related footprints found near the scene, leading some to believe that this mark was not made by a Skookum. Believers say that the animal was probably clever enough to hide its tracks. However, if this is the case, why would it leave an imprint of its body? The cast remains the source of much debate. 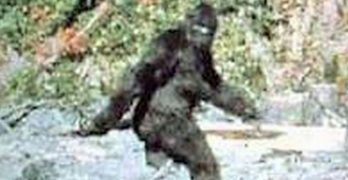 prairieghosts.com, “WHERE BIGFOOT WALKS American Monsters Among Us — Truth or Legend?”, accessed September 06 2017. Julian Cheatle updated Skookum on 17 Sep , 2017.